I got my hands late last year on some (Chinese) sesame sauce. I am not sure if this is anything like tahini, but I did grab it because I assumed it would be. Why specify that this was a Chinese version? Well, because they don’t use tahini like Middle Eastern countries do. They use it in sauces mostly. I did spy tahini recently in Santi’s, my favorite store for unusual finds. It cost about P550 for a tub of about 500ml. 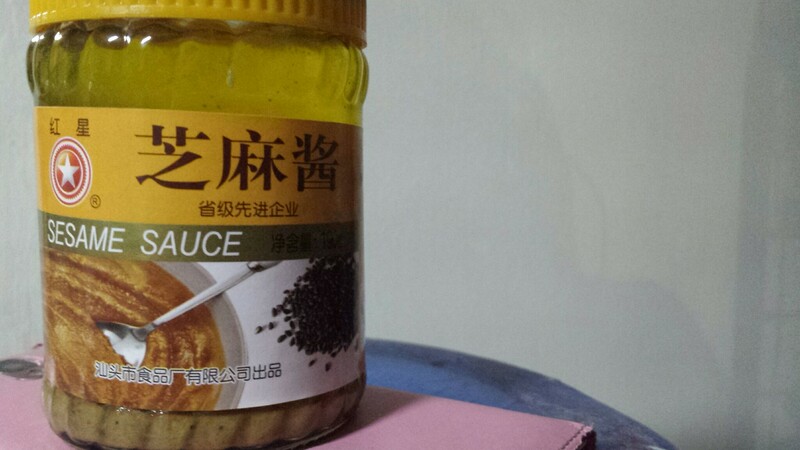 I finally opened this bottle of sesame seed paste and tasted it. I was expecting a powerful oomph of some sort. But what I got instead is uh, peanut butter. A slightly bland peanut butter. I remember most recipes of hummus adding peanut butter in replacement of the tahini, and now I know why. In any case, I proceeded to make my hummus. As I have mentioned, i have been trying to eat better (yeah, yeah, I say this after making guanciale), and hummus seems to fit the bill. Used our blender, dumped all of the ingredients in it, and processed. I added a bit of oil, slowly, only as much as it needed to whir around. 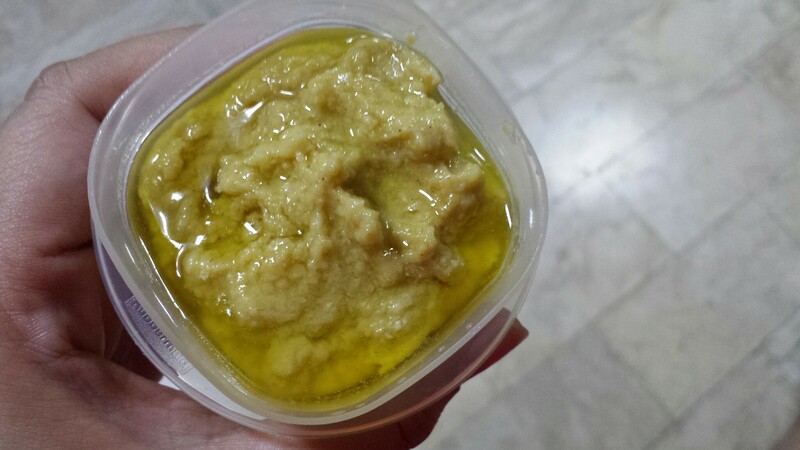 I also liked my hummus to be thick so I wasn’t splashing in the oil too much. I am estimating I used about 1/3 to 1/2 cop of olive oil, all to your preference.